Bogotá can be wet and gloomy, especially in the rainy season (which is 9 months of a year!). In a place where the weather compares with that in London, after a tiring commuting journey stuck in the traffic, there is nothing better than having a comforting bowl of soup. 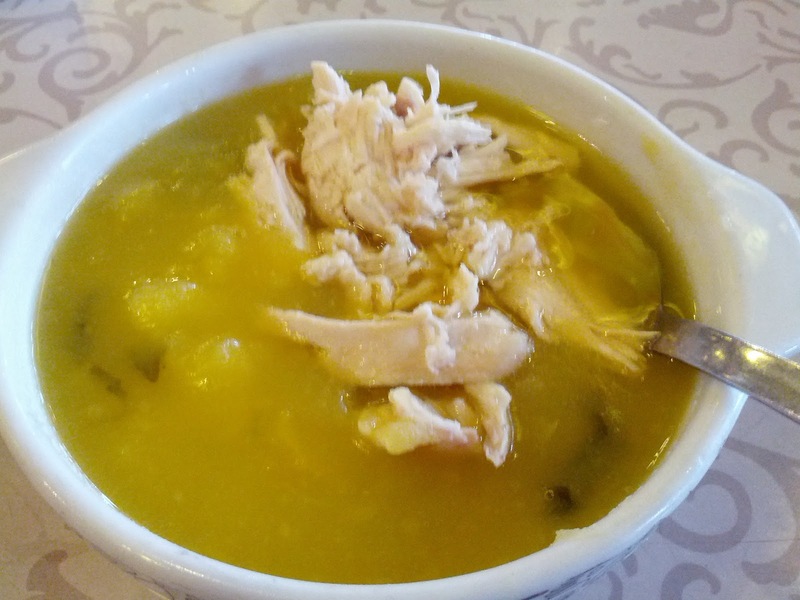 Ajiaco is the Colombian version of chicken soup. What makes it Colombian? Two ingredients, guasca and capers, contribute to its distinct flavour, and of course, an extra dose of fat and carbs. That’s what it is. It’s as consoling as your regular chicken soup, but with additional mashed potatoes, corn, shredded chicken, and cream. It’s filling lunch option to last you for the rest of the day! NB (21st September 2014): It’s been almost 2 years since I posted on Ajiaco, and Bogotá weather has proven to be quite different this year because of El Niño. Instead of 9 months of raining season, we’ve had 9 months of dry season with bright sunshine, less of an excuse to have this filling soup for lunch, much more suited to the chilly evenings!